‘Eynsham Neighbourhood Care Scheme’ has provided transport for elderly or infirm parishioners to hospitals and clinics for over 45 years. In the last six months they have undertaken 193 journeys, travelling 2788 miles. Donations of £1399.05 have been received. £1488.60 was paid out to drivers and £69 for phone calls and office expenses. On only 6 occasions they were unable to respond. Coordinator David Miller has provided a dedicated service since 2005 but recently decided to move on - read his final half-year report below. 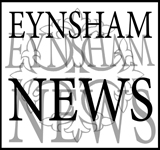 Faced with the possibility of losing this valuable service, Eynsham Good Neighbour Network have stepped in to ensure continuity - and very happily the vast majority of volunteer drivers have agreed to carry on supporting the scheme!